Discussion in 'Gran Turismo Sport' started by GTPNewsWire, Jan 31, 2019. This article was published by Andrew Evans (@Famine) on January 31st, 2019 in the Gran Turismo Sport category. Marcobzzcs, PSN:And-War, Castrol96 and 5 others like this. TheNuvolari, GT5Power, Interstellar9 and 43 others like this. Inferno251, Ax4xGearHead, dlshearon and 8 others like this. So the same thing that happens on every-single-update? james h, Inferno251, bduddy and 14 others like this. silverman_GT, TheNuvolari, NanoSaibou and 33 others like this. TheNuvolari, Inferno251, AMPMROCKETFANN and 14 others like this. Inferno251, girabyt3, Carbon_S15 and 5 others like this. No Spa? No real circuits? No Trial Mountain? Oh you... Off course not! Next: Drag Strip Las Vegas (GT4 track). Pay attention! No questions! Thats free update! Just compliments the PD! Interstellar9, TheGTGeek, Danguil63 and 1 other person like this. I wouldn’t mind kart space coming back, but yeah, Spa and Daytona would be nice too. karelpipa, dlshearon, Auto motors and 1 other person like this. Just get your race suit, helmet and Kart liveries ready! - Some famous/popular hill climb cars, new & old. Interstellar9, aguia, dlshearon and 11 others like this. This could be some goofy dumb fun, which means it's VERBOTEN. silverman_GT, Interstellar9, Pigems and 1 other person like this. As long as you can plummet off the elevated section I'm OK with it. bduddy, Pigems, splitwindow and 4 others like this. TheNuvolari, bduddy, Pigems and 7 others like this. The funniest thing here is you somehow getting mad at a complete guess of an update. TheNuvolari, Madracer1000, bduddy and 15 others like this. For real mate, get some help. TheNuvolari, KayX23, AlanH49 and 3 others like this. GTPlanet: Check out this cool thing someone found in GT Sport! Normal people: Haha that's cool and/or funny. silverman_GT, TheNuvolari, Inferno251 and 39 others like this. Just remembered. This reminds me of the go-Kart track at Fun World in Orlando! Went there back in 2008. One of the tracks, features elevation change and overpasses and a rise a couple stories to a corkscrew that takes you back down to level ground. Not the fastest karts, but had full all day. Literally, all day. Edit: found it... Fun Spot! Inferno251, Dave Beerman, girabyt3 and 22 others like this. Remember the variant of GT Arena with boxes and jumps? Looks like PD wanted to go really crazy with this arena. 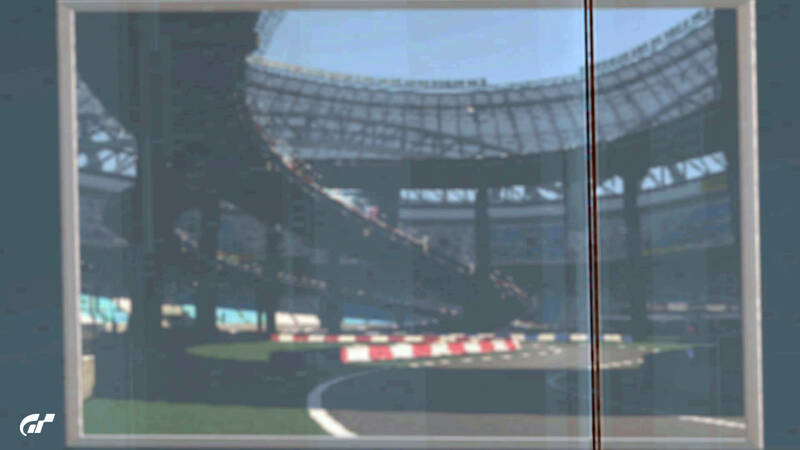 Also, before GT6 release, official site stated players can change the layout of Arena. I think this crazy map is something from that time. I believe these pictures were made when GT6 was in development and PD planned much more things for GT Arena. Inferno251, Dave Beerman, Marcobzzcs and 5 others like this. karting... another thing to eliminate from GT, like Rally, and Nascar which was dumped this most recent cycle. I honestly think that this track is just bonkers and I would be happy to race in it. Dave Beerman and StealthVel like this. That track looks like it'd be a blast with the kei cars they've been adding in. Dave Beerman, karelpipa, Carffeine and 7 others like this. If this ends up being the track added in February then that’s one more month without Spa but one more month we get to spend with the spiciest meme on GTPlanet. Inferno251, sirjim73, TheGTGeek and 9 others like this. Maybe we are getting this? TheNuvolari, NJT4567, Inferno251 and 7 others like this.